Samuel Frederick "Sam" Smith (born May 19, 1992 in London) is a singer/songwriter. While his early career was geared up towards musical theatre, it was dance music that kicked it off. He has won four Grammys (including Best New Artist, Record of the Year and Song of the Year for "Stay With Me"; and Best Pop Vocal Album for In the Lonely Hour), an Oscar for Best Song ("Writing's on the Wall" from Spectre), and charted five #1 hits in the UK. In October 2012, Sam Smith featured on Disclosure’s single Latch, which peaked at number 11 on the UK Singles Chart. In February 2013 he released his début single Lay Me Down. In May 2013, he featured on Naughty Boy’s single La La La, which entered at number one on the UK Singles Chart. Still under the PMR umbrella, the Nirvana EP containing Safe with Me and NIrvana was released in October (UK) and January 2014 (US). May 2014 saw the release of his début album, In The Lonely Hour. The first two singles, Money On My Mind and Stay With Me entered at number one on the UK Singles Chart. The association with Disclosure and song-writer Jimmy Napes continued with the collaboration on Mary J Blige's 2014 album The London Sessions, who also featured on a second version of the single 'Stay with me'. January 2015 saw the re-release of 'Lay me Down', re-recorded with the original team. In February 2015, he won the Grammy award for Best New Artist, Record of The Year, Song of The Year and Best Pop Vocal Album. In March 2015 a third version of 'Lay Me Down', featuring John Legend was released to be used as a the official Red Nose Day charity single. In July 2015, he featured on the Disclosure single Omen. Bond Movie - on Mon Sept 7, 2015, it was revealed that Sam Smith was to sing the latest Bond theme, 'Writing's on the Wall' from the movie "Spectre". That song won an Oscar for Best Original Song at the 88th Academy Awards. His second studio album, The Thrill of It All, was released on 3 November 2017 and debuted at #1 in the UK and USA. 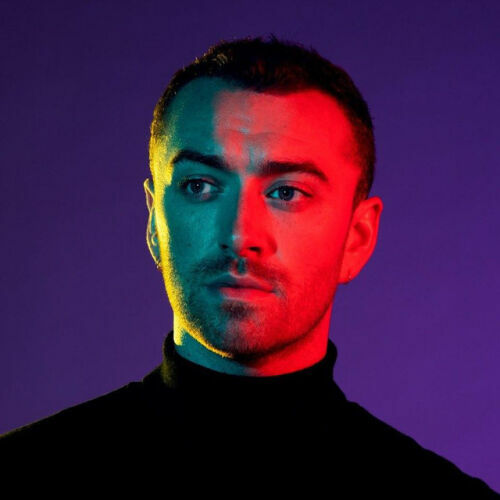 http://samsmithworld.com Sam Smith is also the recording name of an Australian artist who released the album ‘Further’.